The study focuses on strategies for how online course outlines can be designed to improve the use of collaborative peer feedback in distance education and how distance students can learn to use argumentation processes as a tool for learning. For ten weeks, 30 student teachers studied the web-based 15 credit course Teacher Assignment. Data was collected from five student groups’ asynchronous argumentation, relating to authentic cases of teacher leadership. Focus was placed on the extent to which students used own and others’ texts meaning content in the discussion forum and how the content can be analysed. A close investigation of the dialogical argument patterns (N=253) in their peer feedback shows the extent to which students distinguish, identify, and describe the meaning content that emerges in collaboration with other students in an online setting as an important aspect. The dialogue patterns that developed are illustrated in selected excerpts. The background of this research is to improve the use of collaborative peer feedback in distance education, which can promote reflective learning and development in students, as well as their critical ability. Peer feedback uses in this study as information provided by students with aspects of each one’s understandings as well alternative strategies and solutions based on literature. University assignments as reports, articles and project presentations are more complex work. Students need to have emphasis on the learning processes in writing, inquiring and problem solving. A practical benefit of implementing collaborative peer feedback is that the feedback becomes available during the learning process and in much larger quantities, than the teacher could ever provide alone. Indeed, the importance of developing critical reasoning and self-reflective learning has been highlighted in several studies within the field of distance learning and education (e.g. Vonderwell, 2003; Finegold & Cooke, 2006; Wegerif, 2006; Swann, 2010). While many models are available for content analysis of asynchronous discussion groups and the design of online activities to promote e-learning (De Wever et al., 2006; Schrire, 2006; Strijbos et al., 2006; Weinberger & Fischer, 2006; Sun et al., 2008), there are considerably fewer models that analytically investigate the meaning and quality of peer feedback. A general overview of the literature from the last decade of online learning research shows that the research design in most studies in the area primarily involved experimental, descriptive and iterative studies (Suthers, 2006). Researchers have examined the technical opportunities, how individual learning can be described and explained and compared how learning is developed in campus courses and in online courses. A frequent pedagogical problem in web-based teaching, discussed by Stahl and Hesse (2008), and Garrison and Arbaugh (2007), is that students and teachers mainly focus on the individual learning process. Self-regulated learning is often done through using web-based tools and wireless technology module systems on their own is not enough. Another educational problem, described by Stahl and Hesse (2008), is that students and teachers tend to focus on procedural learning and ignore the conceptual learning intended by the curriculum designers. These courses tend to result in relatively superficial or unreflective re-productions among both individual students and student groups. The dialogues investigated in these studies soon assume the character of transmitting ‘information.’ They become a simple confirmation of what others already have written, and therefore the participants do not succeed in developing deeper knowledge construction. For example Erduran and Villamanan’s (2009) study indicates that only 35% of engineering students’ written arguments were valid. According to other researchers, academic education should place value and emphasis on the processes of argumentation, engaging in collective higher-order and critical thinking, and forms of reflective interaction that support students’ ability and motivation to cooperate in effective ways (Meyer, 2003; Schellens & Valcke, 2005; Wegerif, 2007; Richardson & Ice, 2010). The present study follows distance student teachers at the Faculty of Education and Society, Malmö University, located at the southern tip of Sweden in Skåne County. Malmö is Sweden’s third biggest city, and one of the most multicultural places in Europe. Malmö University has 24,000 students; among them are 18% studying at distance. A clear trend worldwide is that distance education in whole or in part is organized with support of online learning environments, is steadily increasing and is currently the higher education sector that is growing fastest (ICDE, 2009). Swedish surveys show that one of five students is currently studying in whole or in part at distance (Högskoleverket, 2010). 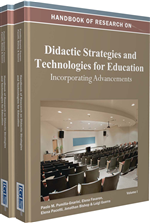 The development of distance education has thus resulted in a new way of teaching and to learn in and with and is important for all life-long learning. Argumentative Ability: Related to the process of assembling and reassembling different components of the students’ own and others’ words and meanings. Peer Learning: When assessing the work of fellow students, students also learn to evaluate their own work. Collaborative Feedback: Supporting critical and higher-order thinking, as well as other important learning aspects in collaboration with others. Response Ability: Related to a concrete answer to a specific text in order to become a more conscious writer.